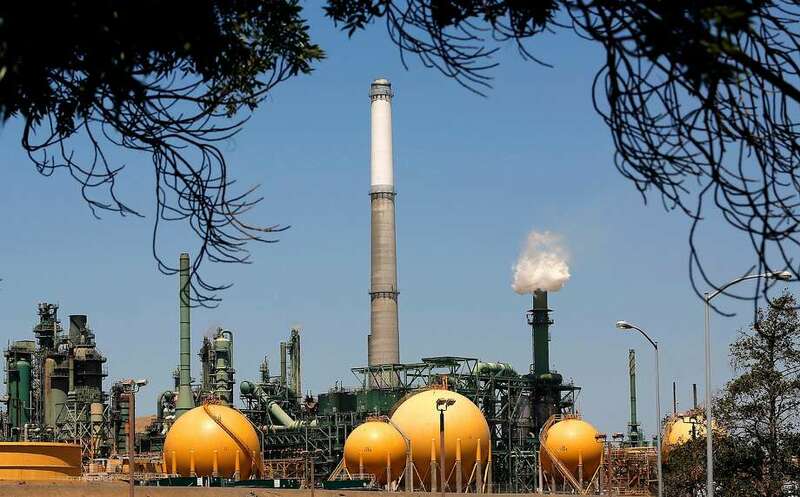 Two Bay Area counties are home to oil refineries, but only one has an industrial safety ordinance directed at preventing accidents that could harm workers and pollute the air — Contra Costa County. Solano County has no ordinance, but Benicia, where Valero operates a refinery, is beginning a conversation on adopting a city safety ordinance. The push for the city ordinance comes at a time when the state recently has adopted its own industrial safety ordinance modeled on the Contra Costa County ordinance. The regional air quality board also unanimously adopted on Nov. 15 the strictest regulation in the nation to limit emissions of cancer-causing toxic air contaminants. Solano County officials say they are studying the new state regulations but question the need for another layer of governmental oversight. Air quality is always a concern in a refinery town, but a May 5 incident at Valero that sent huge plumes of black smoke and flames soaring into the sky reignited community worries. The flaring resulted in shelter-in-place and evacuation orders and raised the price of gasoline. It was later determined the refinery had released 80,000 pounds of toxic sulfur dioxide — a huge amount, experts said. Two investigations (one by the state, one by the county) found Valero not at fault, but the county’s findings were never forwarded to the city and only revealed through a public records act request. The regional air board is still investigating. Valero is suing PG&E over a power failure that preceded the refinery losing control of its process. An industrial safety ordinance would bring Benicia — and surrounding communities — into the know and give residents directly affected some say. An ordinance also would require Valero to pay fees to the city, or Solano County if the Board of Supervisors adopts an ordinance, to contract for the engineering expertise needed to oversee prevention programs, audits and inspections. Unsurprisingly, Valero is against the idea. Contra Costa County adopted its industrial safety ordinance in December 1998 after a series of incidents, and just days before four men were killed and a fifth seriously burned in a gruesome refinery accident. Richmond soon after adopted its own ordinance. Contra Costa’s ordinance is held up by the U.S. Chemical Safety Board as a model. The record shows the number of refinery and chemical facility incidents has diminished since adoption. Industrial safety is a public concern. The public deserves to be in the know.